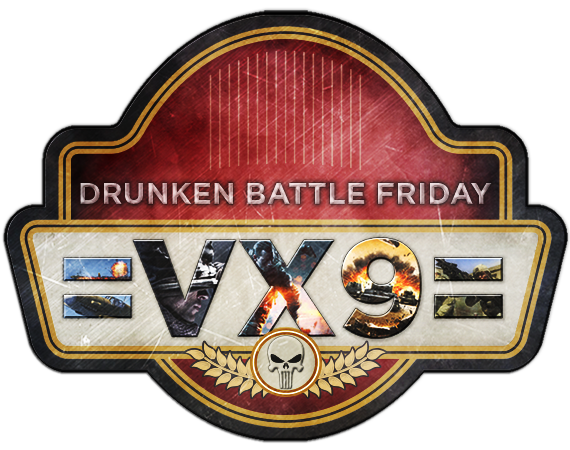 =VX9= Drunken Battle Friday: Independence Day Celebration! It's a special day for those of us who live in the USA. To celebrate the occasion we are giving away some great prizes this week. Read below for more info, have a great and safe weekend! ARK HUNGER GAMES - 10pm EST - Random weapons will be dropped in the center, grab one and take out the other contestants. No armor allowed! Check out the India DBF topic for more info. HYPER VANGUARD FORCE IV - All you have to do is go for the high score on this addictive flash game and post your results in the DBF topic. Prizes go to top 3 scores, be sure to check out the Nova DBF topic for more info or to enter their raffle. HIDE AND SEEK @ 9:30pm EST - Hide and seek is back and a new location has been selected. You probably know the rules by now but for those who don't, one person will try to find the remaining members. As members are found they will assist in finding the others and the last two people found win prizes. Check out the Omega DBF topic where you can find the details and enter their raffle. FORUM RAFFLE -You know the drill, hop on over to the Phoenix DBF topic and leave your number! NATIONAL PRIDE - To celebrate all of the countries that members are from, Thunder is holding a contest for you to show us how you celebrate your nation. Entries will be judged by a 3 person panel and the winner will take home grand prize. All entrants will be entered into a drawing for additional prizes so there is plenty of reasons to show us how you celebrate. There is more info you need to review so be sure to check out the Thunder DBF topic for more info or to enter their raffle. DROP IN NIGHT @ 8pm EST - Grab your beverage of choice and be prepared for anything this Friday. Stop by at the start time and jump in on the action. There are prizes to be won so get out there and brew up some tanks! To enter the Zulu raffle, check out their DBF topic. We have a number of events this week with a great prize pool! On to the events this week! Rules: Complete the form below, each complete correct answer is worth one "ticket". Participants will be entered into a Randompicker.com drawing and more tickets = more chances to win. One entry per member and the first entry is the only one that will be considered, so research thoroughly! This may be a weekend of celebration for the USA but we want you to share a little about your country with the community. Rules: Post up one thing you love about your home country. For US citizens, post the same info but for the state you were born or live in. Pretty simple, combine your answer here along with your entry for the next event. The quintessential raffle has a baseball twist to it, so be sure to read the complete rules. Rules: Post up a number between 4 and 104, closest to the number wins the allocated prize with tie breakers going to the lowest of two numbers. If two people pick the same number, oldest post/edit breaks that tie. The Twist: You can edit your number up until the end of the event period (see below). Any edits after that date/time will be DQ'd. All of the above events will run through 11:59pm EST on Monday July 6th to give those that might already be out of town a little more time to participate. I want to first say Thank you to *Gen.Samurai=VX9= For all he has done to not just grow out Whiskey Co. Our Console division but all he has done for this community. He did a great job in getting the =VX9= name out in the console world and he will continue to Help our community in other positions, Including Mentoring Officer fof Whiskey. He decided it was best to step down as Co of Whiskey So that it could get the attention it deserved. He Is starting a new chapter in his professional career and His time is very limited. With that said, We are very happy to announce that CW4.Ice=VX9= has Agreed to step up as CO of whiskey Company! He has been Samurai's XO and has some big shoes to fill. We have no doubt he will make us all proud. He will also be apointing his XO: SFC.Pontios4life=VX9=. Good luck to both of you and make us proud. We look forward to bigger and better. Great events and prizes this week, join us for another evening of DBF! HITMAN @ 7pm EST - Players will pick 3 members that will be their "hit list" and post the list in the DBF topic. A hit must be completed by knifing but choose carefully because if one of your targets leaves before you complete the hit, you will not be able to complete your list. First person to check off all three players on their list wins. Head to the Alpha DBF topic to post your hit list or to enter their raffle. SCREEN SHOT CONTEST @ ALL WEEKEND - Utilize your creativity this week and post a funny screen shot. You can post your entry in the DBF topic anytime between now and Sunday. All entries will be judged Sunday night. Also check out India DBF topic to enter their raffle. REC FARM SIMULATOR 2015 @ 11pm EST - Players will be joining public matches trying to earn as much rec as they can during the event. Matches will continue to run for 60-90 minutes, the winner and runner up receive prizes. Check out the Nova DBF topic for more info or to enter their raffle. PAINTBALL @ 9:30pm EST - The always popular Paintball event is going down this week. 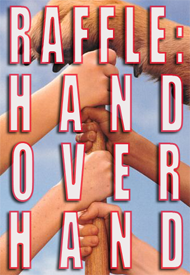 Team sizes will depend on the turnout and the same rules you are familiar with are in place. Check out the Omega DBF topic where you can find the details and enter their raffle. [REDACTED] @ 9:00pm EST - A new home is calling so it's time to pack your things, the moving trucks are on their way. Join Phoenix this Friday to assist in the transportation of assets. PvP possible. Escorts welcomed. For more intel, check out the DBF topic this week where you can also find their raffle. FLAK VS JETS @ 9:00pm EST - This week Thunder is pitting jets against flak tanks. Dust off those jets pilots and for those of your without jets, grab a flak tank. Name of the game is pretty clear - destruction. There will be public practice rounds before the event kicks off and some extra incentive to be there on time. Check out the Thunder DBF topic for more info or to enter their raffle. DUCK HUNT @ 8pm EST - One person in a higher tier tank goes hunting in a specified arena against a team of lower tier tanks. Score is kept by number of kills. First and second place in scores win prizes. Raffle will be held on the forum for the third prize. We have 1x decal and 2x game codes for our regular prize pool AND 3x Tom Clancy Rainbow 6 Closed Beta Guaranteed Keys that are a bonus prize pool! Instead of the usual number raffle we're going to run this differently. To enter yourself in one or both prize pools, use the poll above. Each member has up to two "tickets" they can allocate to the two prize pools. You can focus on one pool thus putting in both tickets or spilt your tickets between the two which lowers your chances but makes it possible to win in either (or both). I'll collect the poll results made by 11:59pm EST on Sunday June 28th and enter them into randompicker.com to draw winners. No better way to start the weekend off than with a DBF. Grab that drink and join one the events going down this Friday! STICK AND STONES AND SEMTEX @ 8pm EST - In Obliteration, players will be looking to deliver the most bomb deliveries over the course of the event. Added twist is that you can only use knives, pistols and your choice of explosives. Check out Alpha DBF topic for more info or to enter their raffle. LAST MAN STANDING @ ? - Player will meet at the west base and will use no weapons or armor. Last player standing wins, there will be two rounds and the winner of each gets a prize. For more info of to enter the raffle, check out the India DBF topic. BATTLE ROYALE III* @ 11pm EST - A new champion will be crowned this week! 5 private matches of varying ship classes will be held and the winner will be the pilot with the most points at the end of the event. Check out the Nova DBF topic for more info or to enter their raffle. THE AMAZING RACE @ 9:30pm EST - It will be a cross country race this week, grab a fresh pair of shoes and some food to keep that energy up. You can work in pairs or be the lone wolf. Check out the Omega DBF topic where you can find more info and enter their raffle. RED ROVER, RED ROVER @ 9:30pm EST - Light tanks tier 3 or lower will race across a beach full of debris. To top it off, heavy tanks will be waiting at the end to wreck your day, and tank. Will someone survive the course and win? Check out the Thunder DBF topic for more info or to enter their raffle. KING OF THE HILL @ ? - Who will be the last tank standing atop Himmelsdorf? That's the event this week. Prizes will be handed out to winners and once those run out Zulu will move on to drop-ins. For more info, check out the Zulu DBF topic. We have 1x decal and 2x game codes to give out this week! Guess a number between 1-40. Numbers closest to allocated prize will win, tie breaker goes to lowest of the two numbers. We also have a special prize mixed in to the raffle this week. @Chillerside graciously donated a code for BF4 so pick that lucky number! Summer is here, grab a beverage and join in on the great events running this Friday! GRAB BAG + Bonus Bounty @ 9pm EST - Alpha is running a grab bag DBF event, see what version and type of game they'll be playing this week! Bonus for the week, thepang will be putting a bounty on the line from 8pm to midnight EST. Check out the details here. DINO SCAVENGER HUNT @ 9pm EST - Players will venture out and take "photos" of a list of dinos (to be revealed later). First to complete wins a Koozie and the second to complete wins a game code. To enter the raffle for India or keep up on the details, go to the India DBF topic. BATTLE ROYALE III @ 11pm EST - Will the current champion hold on to the title a 3rd straight time? 5 private matches of varying ship classes will be held and the winner will be the pilot with the most points at the end of the event. Check out the Nova DBF topic for more info or to enter their raffle. SAVING PRIVATE RYAN @ 9:30pm EST - One member will play Private Ryan and be stuck in [REDACTED] on a high pop server. Meeting in [REDACTED], Private Ryan must be found and extracted! Check out the Omega DBF topic where you can find more info and enter their raffle. PVP ROAM @ 7:30pm EST - Heading into nullsec this week, the members of Phoenix are looking to cause some trouble. Hotdropping is a possibility depending on the available fleet. Check out the Phoenix DBF topic for more info or to enter their raffle. SKY TAG @ 10:00pm EST - One member will start as being "tagged" and will attempt to tag the other pilots by shooting them. Once tagged you remain so until the end, last person to avoid being tagged wins! No one other than those tagged may fire. Battle mode and battle ranking TBD. Check out the Thunder DBF topic for more info or to enter their raffle. FREEZE TAG (ZULU B-DAY EXTRAVAGANZA) @ 8pm EST - Happy Birthday Zulu Company! In celebration of their birthday, Zulu has events running all weekend long. The official event running for DBF is Freeze Tag but they're running Tank Olympics before (6pm) and Fox Hunt after (10pm). Check out the Zulu Company Birthday Extravaganza topic for more info on these events and the schedule of festivities this weekend. We have 1x decal, 1x game code and 1x koozie to give out this week! Guess a number between 50-80. Numbers closest to allocated prize will win, tie breaker goes to lowest of the two numbers. Have suggestions or ideas for a DBF event or contest? Don't hesitate to reach out to myself or your divisional DBF Coordinator. Fellow =VX9= Members, I would like to welcome you to join in on our newest addition of a 40 slot Ark: Survival Evolved dedicated server.